Thursday: We had one of Stephen’s friends over and ate cake. 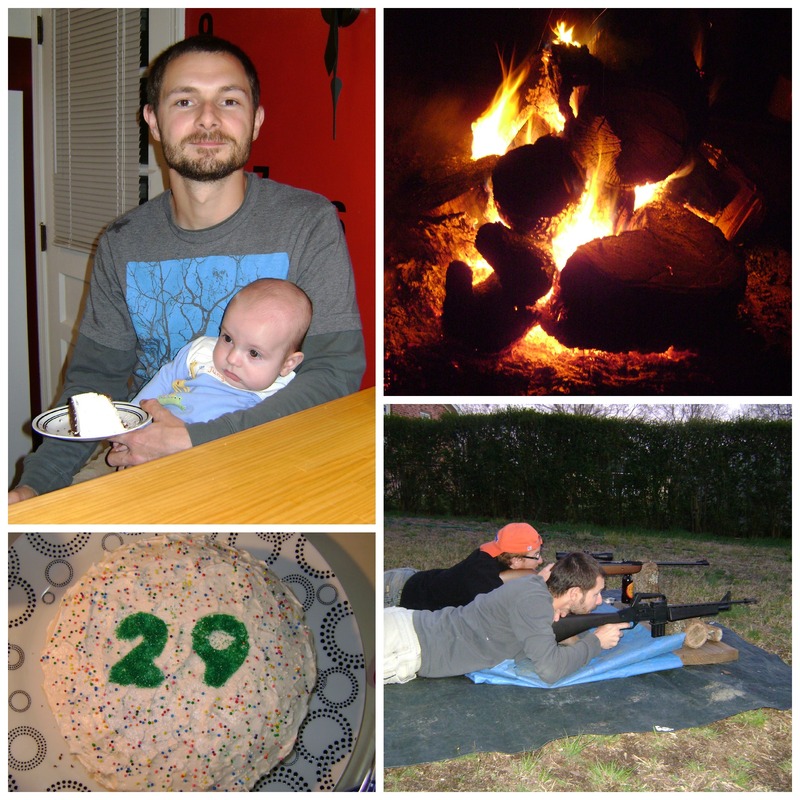 Friday: Stephen had another friend come over and they did some plinking (shot random junk with their bb guns), then some more friends came over for a bonfire (Stephen LOVES to play with fire) and more cake was consumed. Saturday: Stephen and a friend went kayaking on a nearby lake. When Stephen returned home he polished off the rest of the cake. All in all Stephen had a great birthday weekend! He also liked the one gift that I had completed in time. 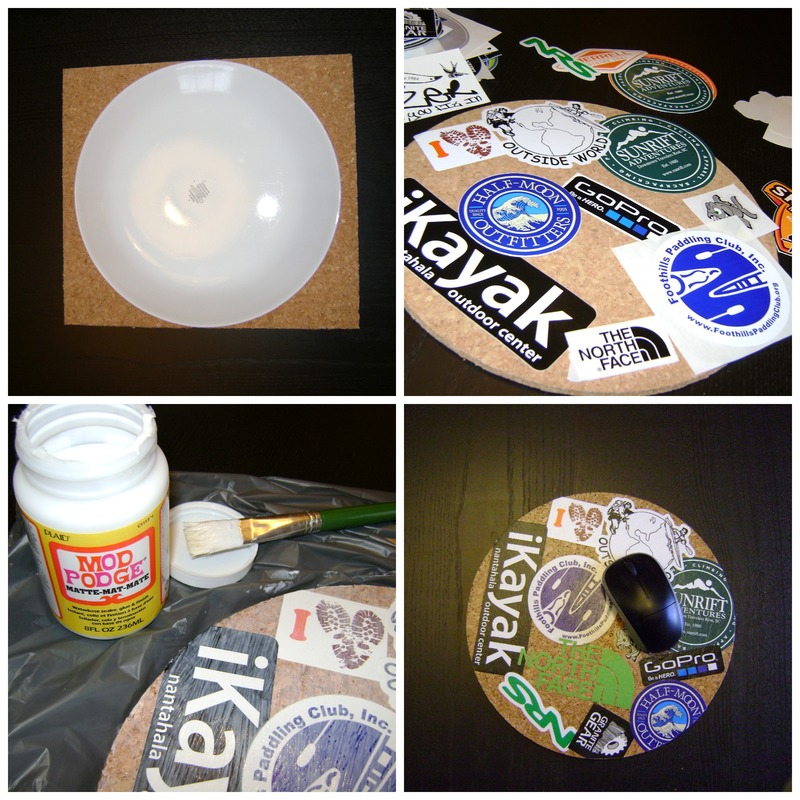 I made him this snazzy mouse pad using a cork tile, stickers and Mod Podge. Usually he puts these types of stickers on the car but they only last a few months out in the elements before they have to be replaced. I figured this would be a good way prolong the life of the sticker and he would be able to enjoy them everyday. My other project for Stephen’s birthday was to refinish a chair that he had acquired in collage. I thought the fabric on the chair was nasty (crusty food stains and funky smells) so I had banished it the the man cave (a.k.a. the shed). Stephen thinks the chair is supper comfy and requested it come back in the house so I promised to fix it up. 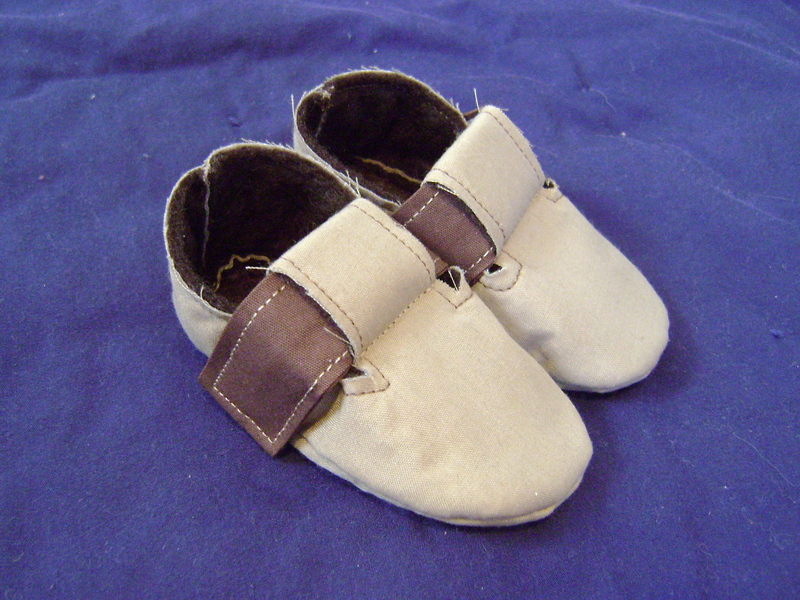 But……instead of working on the sewing for the chair…….I got a little side tracked and sewed these shoes for Henry. I had at least started working on the chair so that should count for something, right? 🙂 Perhaps I’ll try to stay up late tonight and finish it. Oh, and one last thing. 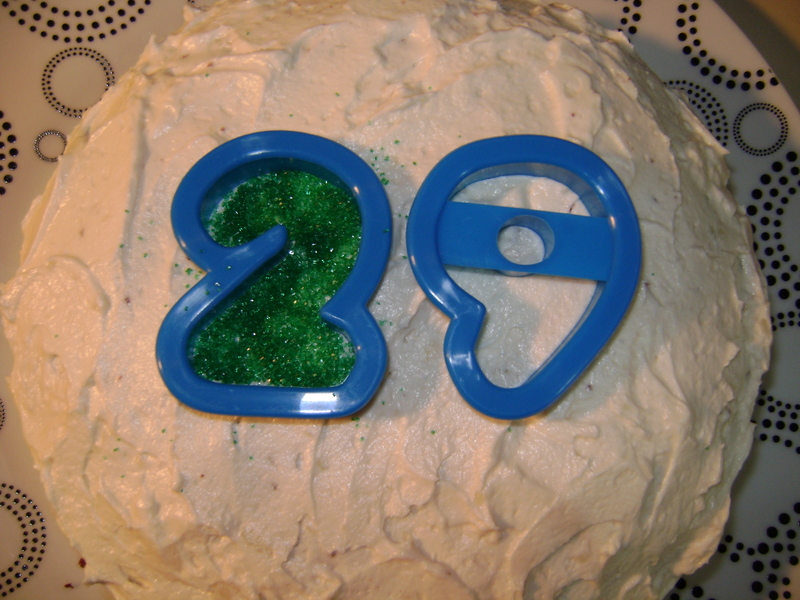 If you are like me and the thought of writing on a cake with frosting is overwhelming because you struggle just to write nicely on paper using a pen……then perhaps you may want to try this little trick. I used cookie cutters as stencils and sprinkled a layer of colored sugar inside of them. I suppose you could do the same thing with frosting, I’ve just never tried.